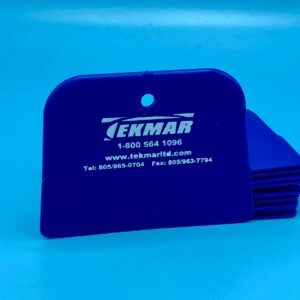 The all new Tekmar TEE-TAK takes the headache out of all over printing It is designed to allow the application of adhesive to the inside of Tee Shirts and other imprintables, stopping fabric movement when printing. Shirts can be pre-sprayed and stacked ready for loading on the oversized pallets. 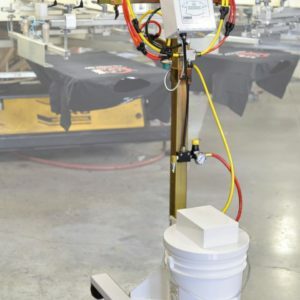 The TEE-TAK is also great for stabilizing the shirts on a belt printer. This system speeds up production, improves print quality and overall improves all over printing. The TEE-TAK’s exclusive air bar distributes adhesive throughout the shirt, ensuring maximum printing stability. As the shirts are loaded a convenient foot peddle is depressed and the unit delivers a pre-set blast of adhesive to the inside of the shirt. 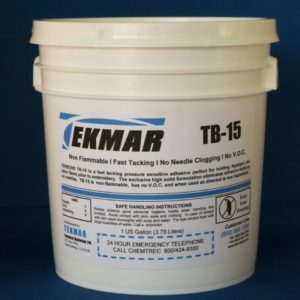 The internal pump, provides an even supply of Tekmar’s starch based TB-STX adhesive to the twin precision tipped spray guns, which have HVLP technology to eliminate overspray. 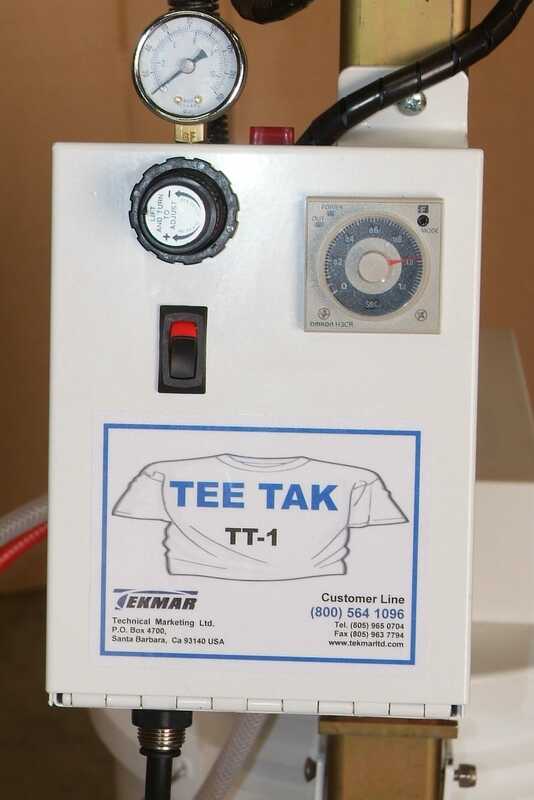 The TEE-TAK is backed by Tekmar’s Lifetime Limited Warranty, ensuring years of reliable, trouble free operation.